Could a marriage ever be restored after divorce? Watch the lyric video for our newest single! Sign up to receive news and updates first! “Our desire is to be faithful stewards of our story and let the music we create move people toward love, life, and hope no matter where it meets them in the journey." 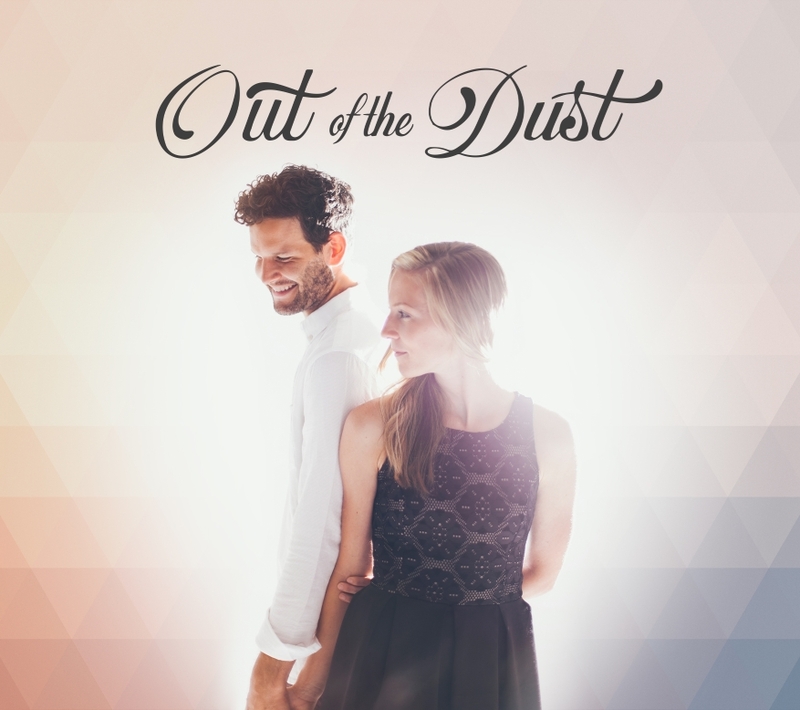 After more than a decade of experience playing and leading worship, placing 2nd in GMA’s national band/duo competition in 2011 is what finally led them to begin writing and performing as Out of the Dust. Influences range from the intricate lyricism and ambience of Fleet Foxes to the fun, quirky melodies of Ingrid Michaelson and the skillful, acoustic arrangements of John Mayer. Aptly named, their debut EP “One Mic, One Night” was recorded live around a single microphone in January 2014 as a nod to the perfectly unpolished artists they love. Their forthcoming self-titled studio release is a vulnerable portrait of the brokenness and uncertainty found in the human experience, yet it offers hope and redemption to an aching world. The album features sweeping arrangements of strings and instrumentation from skilled producers Joe Causey (Colony House, Jenny & Tyler) and Kyle Cummings (Water Within, Vacation Manor). It is the culmination of a lifelong dream and resonates deeply within their hearts. The single "All That I'm Made For" along with 10 other tracks make up the album that is available to purchase and stream on all music platforms. Want to bring us to your church or Event?